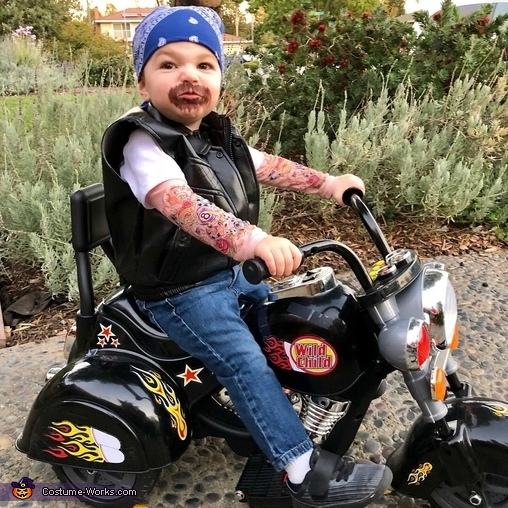 My 2 year old is obsessed with motorcycles so when I found this leather vest (was a jacket) at a yard sale, I knew immediately what his costume would be! We borrowed the shirt from a friend (check out the chest hair in the 2nd picture) so his entire costume cost $5! He has loved being a "motorcycle man" as he calls it for various events this season!